“I knew that Mr. L. felt himself under a sort of necessity to offer Mr. Seward the State Department, and suppose that he did it in the hope that Mr. S[eward] wd. decline. But Mr. S. in a brief note says that after consultation with and advice of friends, he accepts. I [think] this is unfortunate, and [that it] will complicate Mr. L[incoln]’s difficulties. Not that Mr. Seward personally, is not, eminently qualified for the place, in talents, Knowledge, experience and urbanity of manners; but, at the South, whether justly or unjustly, there is a bitter prejudice against him; they consider him the embodiment of all they deem odious in the Republican party. And at the North and in the N.[orth] W.[est] there is a powerful fraction of the Repu[ublica]n. party that fears and almost hates him – especially in N.Y. In Springfield, Lincoln moves out of the offices of the governor in the State Capitol; Governor Richard Yates will soon be inaugurated and a new legislative session will soon begin. A room is secured for his use in the nearby Johnson building. At the St. Nicholas Hotel in Springfield, President-elect Lincoln sits for sculpter Thomas Jones – and contemplates the wisdom of appointing Pennsylvanian Simon Cameron to his cabinet. In Charleston, Major Robert Anderson moves Union forces from Fort Moultrie to Fort Sumter, which was still under construction but more defensible than Moultrie. The guns at Fort Moultrie were spiked and their carriages set on fired. Secessionists in Charleston were enraged when they discovered what Anderson had done. Lincoln meets with his old Illinois friend, Edward D. Baker, the newly elected senator from Oregon. They once had been rivals for Springfield congressional seat – before Baker moved to California. Lincoln also visited Pennsylvania Congressman David Wilmot at the St. Nicholas Hotel in Springfield – presumably to discuss Pennsylvania’s inclusion in the cabinet. When Lincoln had served in Congress, he had repeatedly voted for the “Wilmot Proviso” which would have barred slavery from any new territories. Earlier in the month, Lincoln had asked Wilmot to come to Springfield. Lincoln had extended invitations to a number of Pennsylvania leaders and some had come unbidden. Kentucky Senator John J. Crittenden, introduces compromise legislation to avert conflict and secession. In 1858, former Whig Crittenden had endorsed the Senate candidacy of Democrat Stephen A. Douglas over former Whig Lincoln. The endorsement helped lift Douglas to reelection over Lincoln. “Got home this morning to breakfast…from a hasty visit to Springfield, to see Mr. Lincoln, for the first time since his election,” wrote Edward Bates the day after his meeting with the president-elect. “I found him free in his communications and candid in his manner. He assured me that from the time of his nomination, his determination was, in case of success, to invite me into the Cabinet – and, in fact was so complimentary as to say that my participation in the administration, he considered necessary to its complete success. “He said that if this difficulty were out of the way, he would at once offer me the State Department – but failing that, eh woudl offer me the Atty. generalship, and urge my acceptance. “He did not state, and I did not choose to press him to state, who would probably fill the other Departments, or any of them. Inde[e]d, I suppose he does not yet know – so much depends on Mr. Seward’s position, and upon the daily-changing phases of political affairs. 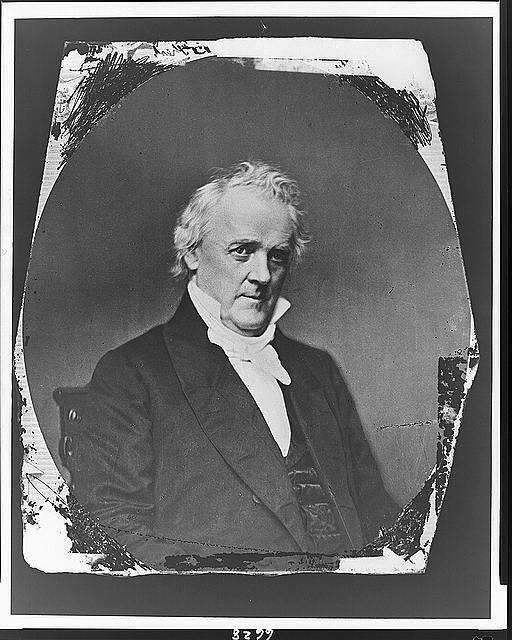 “I told Mr. with all frankness, that if peace and order prevailed in the country, and the Government could be carried on quietly, I would decline a place in the Cabinet, as I did in 1850 – and for the same reasons. But now, I am not at liberty to consult my own interests and wishes…And that, therefore, and as matter of duty, I accepted his invitation, and in that view, would take either office in which he might think I would be most useful. “Without further prelude Mr. Lincoln went on to tell him that he had desired this interview to say to him that since the day of the Chicago nomination it had been his purpose, in case of success, unless something should meantime occur which would make it necessary to change his decision, to tender him (Bates) one of the places in the Cabinet. Nothing having occurred to make a change of purpose necessary (he had waited thus long to be enabled to act with caution, and in view of all the circumstances of the case) he now offered him the appointment. “He had not yet communicated with Mr. Seward, and did not know whether he would accept the appointment, as there had been some doubts expressed about his doing so. He would probably know in a few days. He therefore could not now offer him (Bates) the State Department, but would offer him what he supposed would be most congenial, and for which he was certainly in every way qualified – the Attorney Generalship. “Mr. Bates replied by saying that until a very few days ago he had received no word or hint even, that any of his friends had made any such application in his behalf. He expressed himself highly gratified at the confidence which Mr. Lincoln manifested in him by the offer just made. He alluded to the fact that ten years ago he had declined a similar offer made by Mr. Fillmore. Were the country in the same condition in which it was then – were things going along in quiet and smoothness – no inducement would tempt him to assume the duties of such a position. But the case was different. The country was in trouble and danger, and he felt it his duty to sacrifice his personal inclinations, and, if he could, to contribute his labor and influence to the restoration of peace in, and the preservation of, his country. “Mr. Lincoln expressed himself highly gratified at his determination. “Much further conversation was had both during the morning and in the afternoon when Mr. Lincoln called on him again at the hotel. Their views were very frankly and fully exchanged.